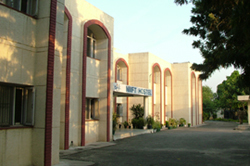 NIIFT provides excellent residential accommodation to outstation girl students of the institute at its own hostel, built and located in the immediate vicinity of the institute campus at Mohali. The hostel is well equipped with modern amenities and provides a mess service.Girls hostel is available at NIIFT, Mohali. In case of NIIFT,Ludhiana girls hostel is not available but PG accomodation is available. In case of NIIFT Jalandhar provision of hostel is available in new building.